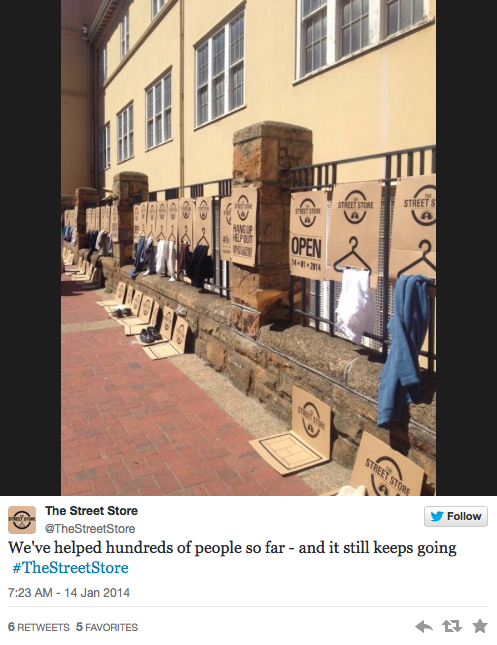 The first ever pop up charity "store" hit a street in Cape Town, South Africa this past Tuesday. The premise of this novel idea is to allow the neighbourhood homeless to browse donated clothing, pick out what they like.. all the while enjoying a retail experience without a cash transaction. There are assistants to help them and package up their "purchases". It dignifies the experience for the recipients rather than having clothes just thrown at them. 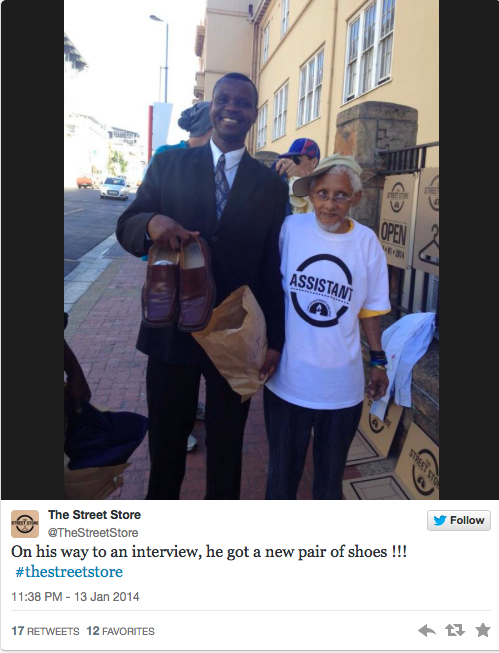 The beauty of of the idea is one does not need to be a small or large charitable organization to host a Street Store. So long as authorities are notified and permission granted to hang up posters, the "retail space" is rent-free. The founders of the concept, art director Max Pazak and copywriter Kayli Vee Levitan, opted to make the idea open sourced so that anybody anywhere in the world can print out their own cardboard "Street Store" posters and hang up their collection of donatable items and help someone stay warm and keep their feet dry. 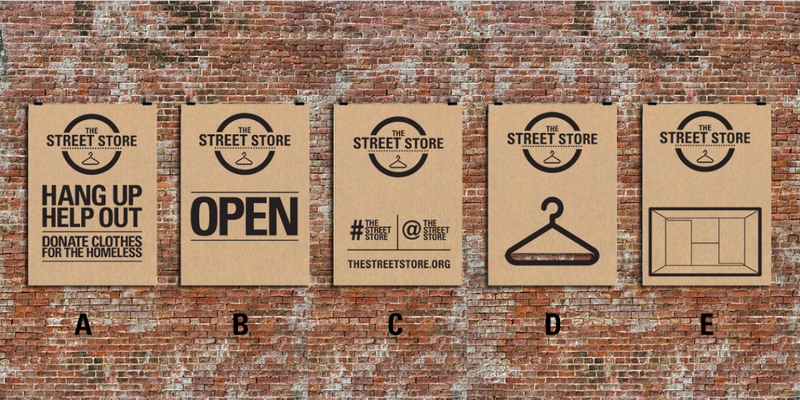 I would encourage you to visit The Street Store to be further inspired!